Is there anything more overwhelming than the first day in a new home? There are a million tasks ahead of you and picking a place to start feels impossible. Do you arrange the furniture, unpack the bedrooms, or give up, go out for dinner and ignore the mountain of boxes for a couple of hours? As tempting as the third option is, we think these 10 tasks are a better place to start. Nothing beats peace of mind. While it’s possible no one else has a key to your home, there’s no way to know for sure. Thankfully, rekeying locks is a task you can DIY. Family Handyman shows you how. Hopefully the previous residents left the home tidy, but it’s still smart to do a top-to-bottom clean. Clean before you unpack so it’s easy to wipe inside cabinets and appliances. You’ll be busy during this time, so consider hiring a cleaning service to get your home looking shiny and new. If your new home came fully equipped with functioning and matching light bulbs, consider yourself lucky. If not, pick up some energy-efficient bulbs; LED are best, but they’re also pricey (although they save money in the long run). Check out this useful tool to calculate exact savings with LED lights. If you’re on a budget, CFL bulbs are an affordable alternative that also offer energy-saving benefits. With a bulbNEST, light bulb organization is at your fingertips and you won’t misplace these bulbs when you need them in the future. HVAC air filters should be replaced every 30-90 days, but you shouldn’t wait three months before replacing the air filter in a new home. Because you don’t know when the previous owners last changed the filter, go ahead and swap it out for a new one now. This is a good opportunity to upgrade to an electrostatic air filter, which removes more airborne particles than a conventional filter so you can breathe fresh, clean air in your new home. If you need to choose an affordable option for your new home, refer to this guide to choose the quality filters. Let’s face it: Your home is going to be a mess for at least a week or two while you unpack. But if you don’t want to go crazy hunting for keys, wallets and coats every day, organizing your entryway should be a priority. Designate a spot for shoes, hang a coat rack and establish a place to catch keys, wallets and mail. Bare windows put your home life on display for the whole neighborhood. Add privacy and coziness by hanging window treatments. Between sizing, privacy, light control and aesthetics, buying blinds and curtains is tricky. Take measurements and read Pottery Barn’s guide before you shop. Can you imagine anything more boring than unpacking in a silent home? Install your sound system so you can listen to your favorite tunes and podcasts while you work. Your clothes may still be in boxes, but you deserve a comfortable and familiar place to sleep. Assemble the family’s beds, lay clean bedding, and unpack any bedroom essentials like blackout curtains and white noise machines so you can enjoy quality sleep in your new home. Without dishes and cookware, you’re going to be stuck eating takeout longer than you care to. Get the kitchen essentials unpacked and organized so you can christen your house with a home-cooked meal. Your neighborhood has as much impact on your experience as your home itself. Take a break from unpacking and go on a walk around your new neighborhood. Say hi to the neighbors, check out the local park, find the school bus stop and get to know your way around the area. It may be weeks before every box is unpacked, every closet organized and all the packing materials tossed away. It could be even longer before your new house truly feels like home. But as hard as it is to say goodbye to an old home and all the memories it holds, your new home is a promise of more memories to come. By getting these simple steps out of the way now, you can get on to the good stuff. This blog post was written by Natalie Jones from Homeowner Bliss!, a blog dedicated to making the home buying process less scary. 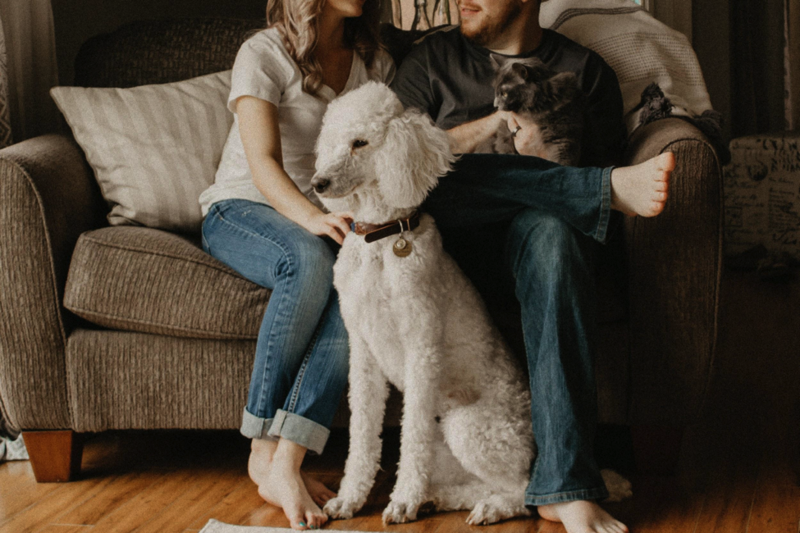 Check out her blog to find out more about what it’s like to be a new home-owner and how to make the most out of your experience.